Click on any book to see it's page, SOME EXCERPTS, and ordering information. BREAKING NEWS: "NEW TRUE-CRIME NOVEL, INFAMOUS, FINISHED." LEARN MORE BY Scrolling Down. 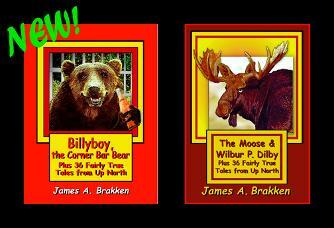 New for 2018: click here to see BILLYBOY, THE CORNER BAR BEAR Plus 36 Fairly True Tales from Up North. 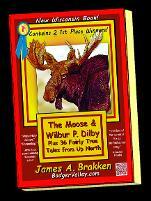 A companion book to THE MOOSE & WILBUR P. DILBY ... (2015). 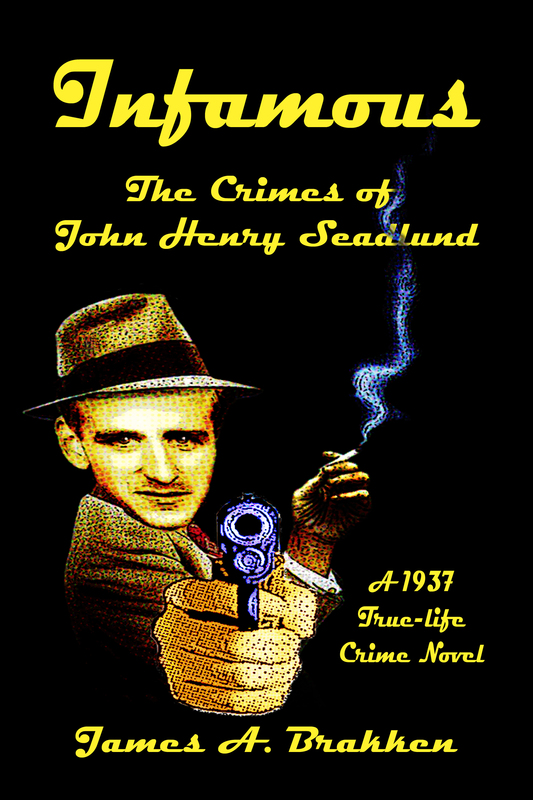 An amazing story of a north woods man who turns to crime during the Great Depression. Connections to Dillinger's gang, MN and WI bank robberies, kidnappings, and worse crimes. Before it ends, J. Edgar Hoover will visit Walker, MN, and Spooner, WI to view the scenes of Seadlund's most atrocious crimes. Hoover will call him "the cruelest criminal" he'd ever encountered. Suitable for all ages. Illustrated. Available May, 2019. Get a 1st run copy by ordering today. Save $11, (that's $4 off the reg book price, $3 sales tax, and $4 shipping cost) when you order the complete set! ORDER WITH CREDIT CARD OR PAYPAL. BE SURE TO MENTION YOUR CHOICE OF BOOKS IN THE COMMENT WINDOW. 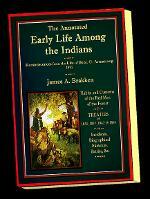 ANY 3 James Brakken books, signed and shipped free anywhere in the USA. (Email us for other destinations.) We pay the sales tax, too. You may have heard bits and pieces of the tale of murder fugitive, Ray Olson. Now it's time you learned the whole story---the story that the government didn't want folks to know. It all started with slot machines being sabotaged. Ray Olson, a guide and handyman for several area resorts, was singled out by the police. An attempt to bring him in led to a high-speed chase through Hayward, then a stolen car, and finally a double-homicide on the Chippewa Flowage. 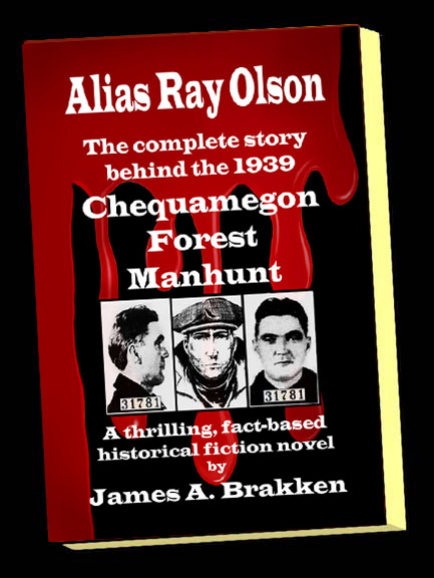 This led to Wisconsin's largest-ever manhunt and a series of amazing close calls and at least 8 escapes as Ray Olson sought refuge in the Chequamegon Forest. His plight altered life in the north. More shows coming soon! Join James at one of the upcoming PowerPoint slide discussions and learn the truth! Contact James at 715-798-3163 to schedule a presentation for your club or organization. NOW BOOKING TALKS TO LAKE ASSOCIATIONS AND COMMUNITY GROUPS. 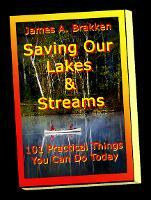 Saving Our Lakes & Streams: 101 Practical Things You Can Do Today. CLICK HERE TO SEE IT! "A Handbook for all who value clean, safe, healthy waters." CLICK HERE to see the Trilogy web page! 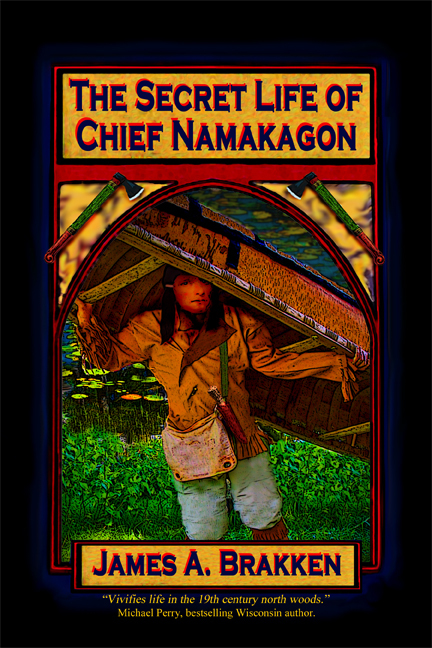 All 3 Chief Namakagon novels at one great price! Free Shipping! 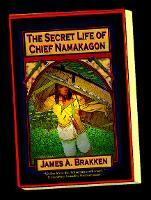 Click HERE to read reviews of James Brakken's books. 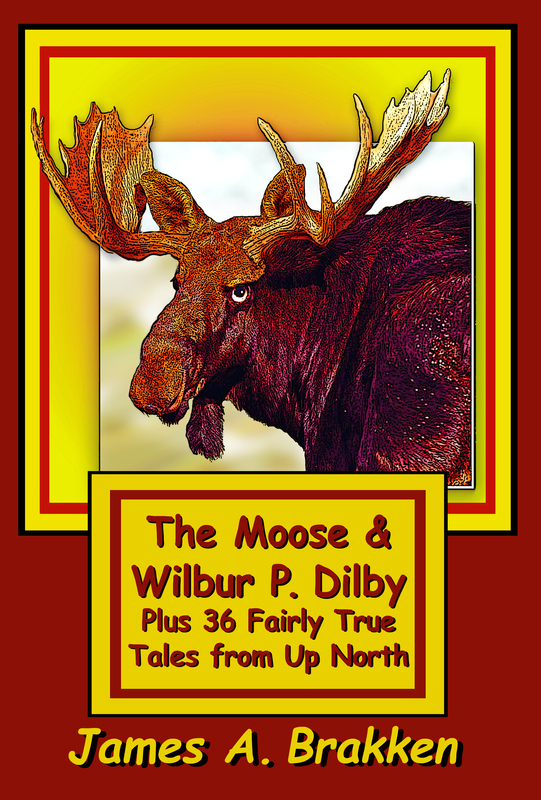 CLICK HERE to see the NEW SHORT STORY BOOK, The Moose & Wilbur P. Dilby plus 36 Fairly True Tales from Up North. 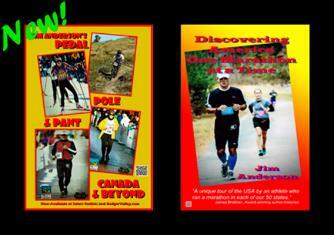 Jim Anderson's DISCOVERING AMERICA ONE MARATHON AT A TIME CLICK HERE TO SEE THE BOOK. This is a great behind-the-scenes look at America thru the eyes of a runner. Secure ONLINE ordering w/ credit card or PayPal OR download an order form below. All books from this site are top quality autographed softcovers. More at Online Store page. All BVP books are made in USA and make great gifts! WAIT! Be sure this is the right book. Go to the Lakes & Streams page to order the final edition. A "user's manual" for all who love our lakes. Many tips and tricks to improve water quality, protect the fishery and other recreational uses, and even protect property values. A "must-have" for cabins, resorts, short-term rentals, and campsites. Sales tax & shippng paid by BVP! Contains 53 macabre illustratons by long-deceased artists! 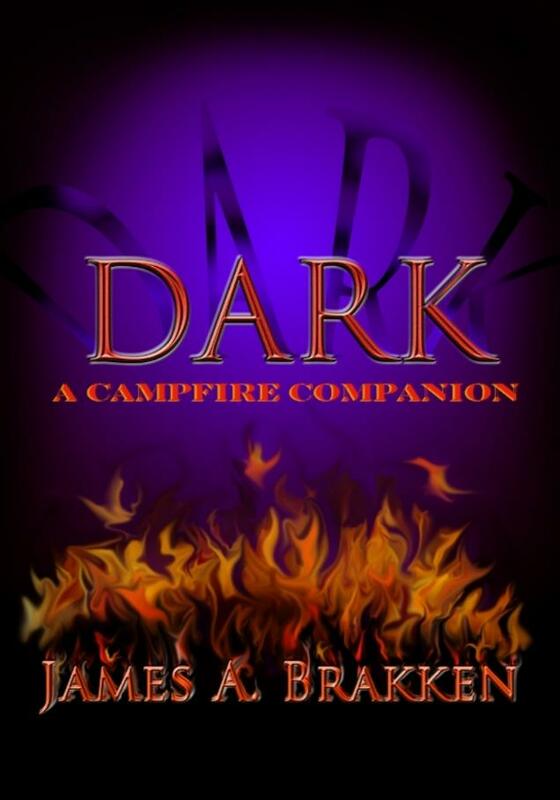 With DARK'S title changed and new stories added, it's perfect reading for dark and strormy nights or under the covers with a flashlight. Signed and shipped free anywhere in the lower 48 states. (Email us for other destinations.) We pay the sales tax, too. Stories from the good old days, straight from the heart and the heart of the north. Some are sad, some are shocking. Some are simply hilarious, but they’re all fairly true, more or less. Signed and shipped free anywhere in the USA. (Email us for other destinations.) We pay the WI sales tax, too. you! Signed and shipped free anywhere in the USA. (Email us for other destinations.) We pay the WI sales tax, too. Click Here for LARGE PRINT versions. 16 point font. Easier on the eyes. Illustrated. TOR LOKEN AND THE DEATH OF NAMAKAGON. A fact-based, thrilling, 1886 murder mystery. Book 2 in the trilogy. Info below. LIMITED TIME OFFER: FREE SHIPPING OF ALL STANDARD SIZE AND LARGE PRINT EDITIONS. DARK ALSO SHIPS FREE! A fast-paced, fact-based 1886 murder mystery. Illustrated. 236 pages. Includes maps to the Marengo silver diggings. Signed. 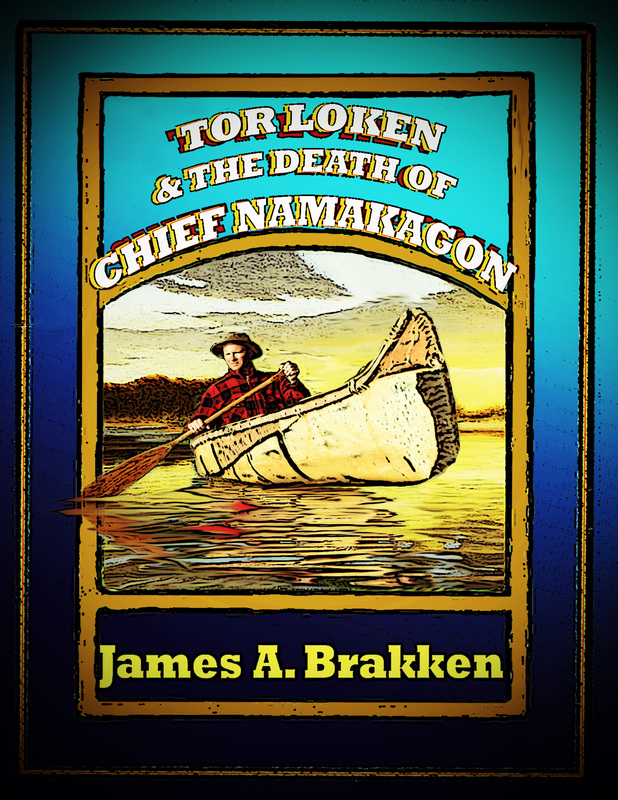 Learn the facts behind Chief Namakagon's suspicious death as, with Tor Loken, you solve the mystery. Join Tor and Rosie as they save the tribal silver. (For LARGE PRINT EDITIONS see the "ONLINE STORE" page in this website. Signed and shipped free anywhere in the USA. (Email us for other destinations.) We pay the sales tax, too. 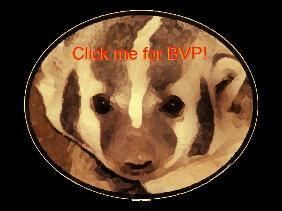 FOR ALL BVP BOOKS, DISCOUNTS, MORE, see the "ONLINE STORE" page. DARK, DARKER, & DARKEST now available! This is the 2013 ABNA 2nd PLACE WINNER OUT OF 10,000 ENTRIES. $17.99. Shipping & Tax included. Signed by the author. 247 pages, 62 illustrations, 43 exciting chapters. Find the LARGE PRINT EDITION in our ONLINE STORE page. Signed and shipped free anywhere in the USA. (Email us for other destinations.) We pay the WI sales tax, too. 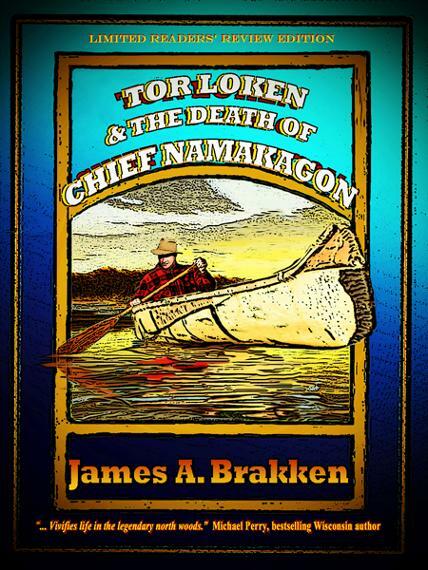 UPDATE: All 9 James Brakken books are now available at Redbery Books and the Loon Saloon in Cable, Marketplace Foods in Hayward and, in Spooner, North Wind Books. In Bayfield, find the trilogy at the Old Rittenhouse Inn and Apostle Island Books. Chequamegon Books in Washburn carries it as do many "up north" historical museums. Spirt Bay in Canal Park is the only place you'll find it in Duluth. The Little Gift Shop in Solon Springs carries all 9 books. Garmisch Resort carries most. An 1883 lost treasure and lumberjack adventure. 26 stories woven into a great lumberjack tale. Set in Bayfield and Sawyer Counties in northern Wisconsin and in Chicago. Fiction based on fact. Text and 63 illustrations by James A. Brakken. 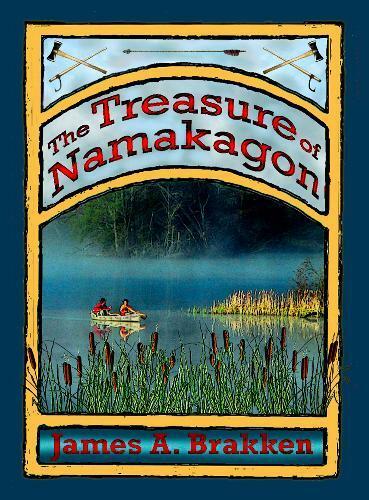 "Weaving mystery into history, "The Treasure of Namakagon" vivifies the tumultuous nature of 19th-century life in the legendary northwoods." Michael Perry, bestselling Wisconsin author. "Great story. I liked it!." Larry Meiller, Wisconsin Public Radio host. ... a very talented writer. Consider me fan!" Jeff Rivera, Media personality, bestselling author. "Open with caution. You won't want to put this one down." LaMoine MacLaughlin, Author, President, Wisconsin Writers Association. Brakken’s new book animates the long history of conflicts over Wisconsin’s water and mineral resources. Eric Olson, UWEX-Lakes Director. SAVE $3 OVER REGULAR ONLINE PRICE! A twisting, turning adventure, 43 chapters, 63 illustrations and glossary. AUTOGRAPHED Factory blem. Has very slight problem with images. Otherwise identical to regular softcover. Some of these may have slight cover damage such as slight scuffing or a crease on the cover. If you are not pleasd with your copy, We will exchange for another, though you'll have to pay shipping. BVP has sold many of our blems without a single complaint. Books we feel are too damaged to reflect well on BVP are never sold. They are donated to the Salvation Army or other venues. Signed and shipped free anywhere in the USA. (Email us for other destinations.) We pay the sales tax, too. Namakagon stood to meet them. He was broad-shouldered and a half-foot taller than anyone in the room. He had black hair and a full beard. His buckskin clothes were clean and neat. A diamond-shaped silver medallion was neatly stitched onto his shirt. 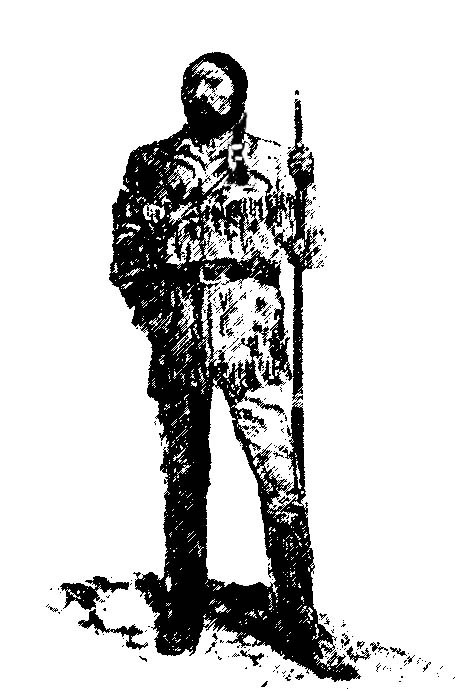 A dark belt around his waist supported a sheathed knife and two buckskin pouches. Or . . . READ SAMPLES FREE RIGHT NOW ON THIS WEBSITE. JUST CLICK ON "clips from the book", ABOVE. BEST DEAL: ORDER IT NOW AT SMASHWORDS.COM for $.99 for the entire book, all illustrations, maps, and all future additions are automatically yours free. The SmashWords price is a steal! LIMITED TIME OFFER. Above: "One pouch held tobacco. 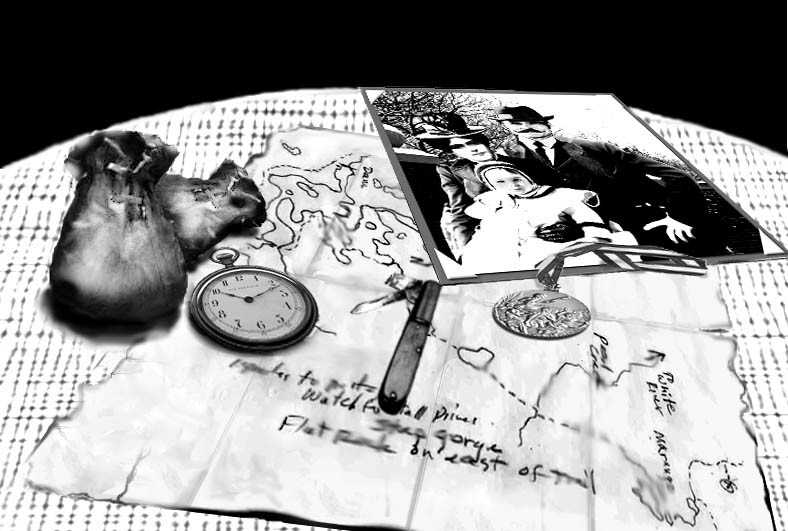 In the other was a map and an old pocketknife with one broken blade, a battered silver pocket watch, an old gold medal, and a very old tintype photograph. Scratched into the back of the photo was ‘1868'." Below: Charlie Martin on a star load of twenty-footers. This is a thrilling north woods adventure, based very closely on historical facts from the 1880s logging days near Cable and Hayward, Wisconsin. Kindle software for your PC is FREE! See free excerpts and chapters on 'CLIPS from the book' page now. [see top of page]. This north woods adventure is written and illustrated by Wisconsin conservationist James A. Brakken. See more on the 'About Us' page, above. This is historical fiction based closely on many facts surrounding the Great Lakes states' timber boom of the 1880s and the legendary lost silver mine near Lake Namakagon in northwestern Wisconsin. Themes and concepts in this story are rich and varied. See the 'Themes and Concepts' page for more. Author readings available at your community club, library or school. Contact the author today. The ebook is now available at SmashWords.com, Amazon and B&N. They can be read on your personal computer, Nook, smart phone, blackberry, I-pad, or on any of a number of other e-readers, including the Kindle. Click on the box link at top of page. 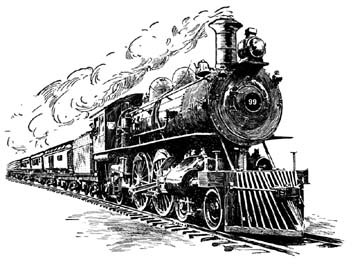 The Chicago, St. Paul, Minneapolis, Omaha and Northwestern train was known by most as the 'Omaha'. See 18 FREE SAMPLE CHAPTERS prior to purchasing. No obligation. After a daring 1883 rescue, Ingman Loken frees his 16 year old nephew, Tor, from a child labor scheme in a Chicago coal plant. 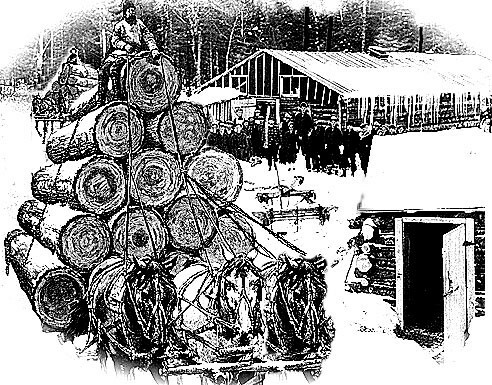 Ingman brings him to the Loken' s lumber camp in far northwestern Wisconsin. 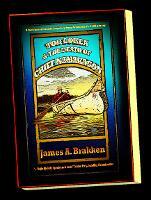 There, Tor meets Namakagon, an Ojibwe Chief who knows of a secret silver mine. They soon learn that a sinister lumber baron intends to stop the Lokens from driving their timber down the river. Only a confrontation between the lumberjacks from the two lumber camps will decide who rules the river . . . the industrialists or the people. This book will give you a glimpse into Wisconsin’s single greatest economic event: The harvest of the largest stand of white pine in the world, a timber cache that was estimated to take 1,000 years to cut but was gone in just fifty. Tens of thousands of lumberjacks descended on the north hoping to harvest the ‘green gold’. Many northern Wisconsin towns sprang up and then boomed into bustling cities, full of life, fast money, loose women, ne'r-do-wells, businessmen and lumberjacks. Most of those boom towns failed soon after the pine was cut, shrinking to impoverished settlements and, in some cases, vacant ghost towns. Wasteful practices, poor management and outright greed prevailed. The great Wisconsin pinery, as it was called then, will never return. What remains today are the descendants of the lumberjacks and others who followed them along with the rich, rich history they contributed.
. the legendary lost silver mine . What also remains is the quest to find the Namakagon mine. 1880s newspaper accounts prove it existed. 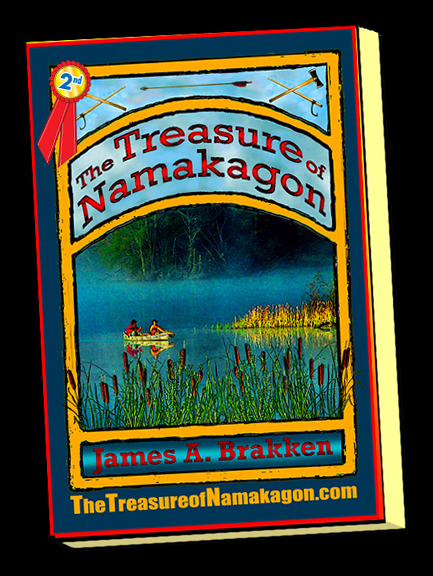 It's location is still a mystery and many still search for the Treasure of Namakagon today. Your search for the treasure begins with the map below and the above links to other pages in this website. Good luck! 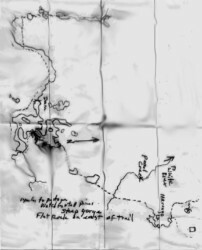 Below: "There, on the back, was what looked like a map."